IDW Limited is at it again, offering fans another ultra rare, highly desirable, collectible that will make them the envy of all their friends. This time up they are giving Teenage Mutant Ninja Turtle fans something fantastic to drool over and it’s not pizza. 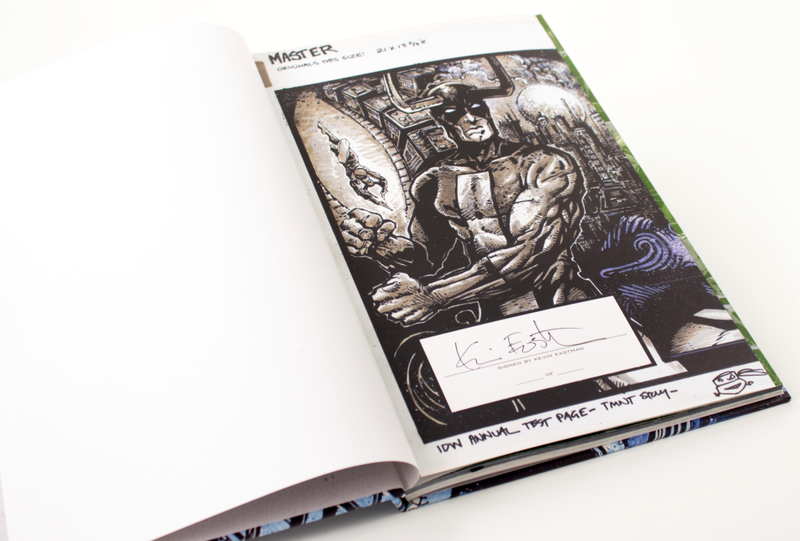 Along with original artwork, each tray case contains a special recess which contains one of the blue line pencils Kevin Eastman used to illustrate this issue! 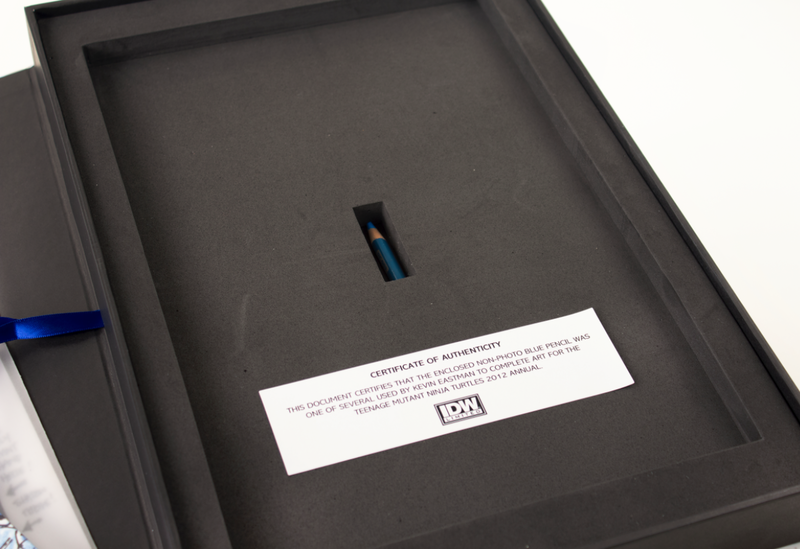 All pencils feature a Certificate of Authenticity directly from IDW Limited. 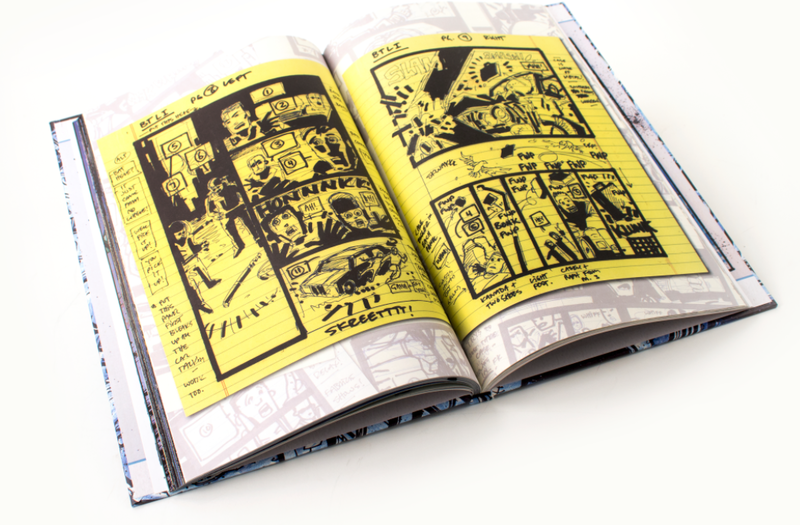 Limited to only 60 copies, each book is available for $395. CLICK HERE to pick up your copy of this rare, must-have collectible for any Teenage Mutant Ninja Turtle fan. This entry was posted in Books, Comic Books, IDW Limited and tagged exclusive, IDW LIMITED, Kevin Bacon, Limited edition, Teenage Mutant Ninja Turtles. Bookmark the permalink.